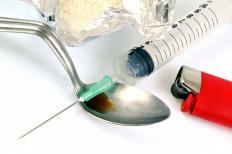 Heroin addicts might be treated with liquid methadone. Detoxing from methadone is as difficult as detoxing from heroin. Liquid methadone is a prescription narcotic often prescribed as a powerful pain reliever or to alleviate some of the withdrawal symptoms associated with opioid abuse, including such drugs as morphine and heroin. When prescribed by a physician, this treatment serves as an alternative pain killer for people who are trying to stop using these other, more damaging narcotics; methadone serves as a kind of intermediary narcotic that relieves pain without the highs and lows the other medications may cause. When prescribed to assist with withdrawal, this treatment is usually part of a comprehensive treatment program, which can include therapy. This drug works similar to how a nicotine patch works for people who quit smoking. Just like the patch replaces nicotine for smokers without the harmful affects of smoking, liquid methadone replaces the pain killing effects of other, more harmful opioids, without the associated highs and lows. This helps people avoid the withdrawal symptoms associated with opioid withdrawal, including anxiety, muscular pain and excessive sweating. People who are addicted to morphine, oxycodone or heroin — the most common types of opioids abused by addicts — commonly use this drug during recovery. It can treat withdrawal symptoms associated with most opioids, however, including codeine, hydrocodone and propoxyphene. 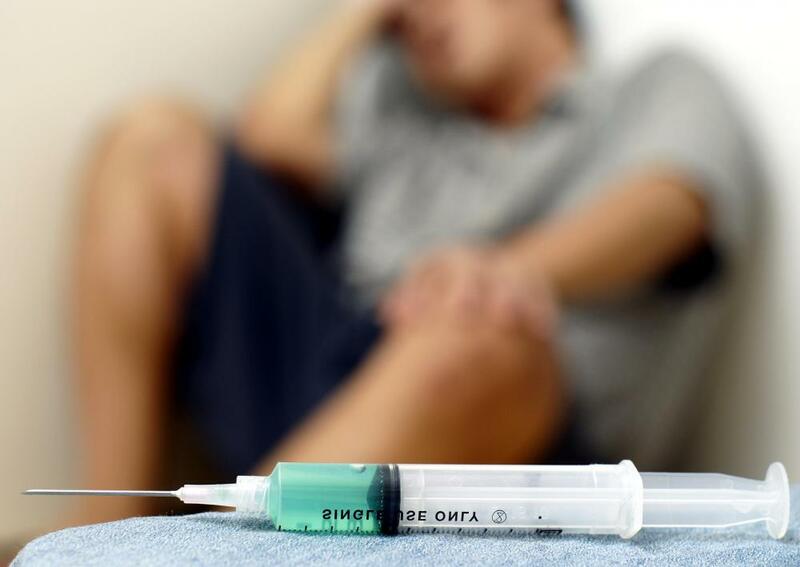 Using liquid methadone to treat addictions is most successful when combined with a a comprehensive treatment program, as the drug will not address the mental and emotional issues associated with opioid abuse. When it comes to opioid addiction treatment, therapy is often prescribed because of the complexity of this addiction. Statistically, people who become addicted to opioids often have untreated emotional or mental problems. People with addictive personalities are more likely to abuse drugs such as opioids, and people with chronic pain may also abuse these drugs to feel emotionally better. Treatment that addresses both the physical and mental aspects of this addiction is statistically more successful, making the use of liquid methadone with a doctor-prescribed treatment program a highly recommended recovery option. There are downsides to liquid methadone, namely the issues surrounding its misuse, which can happen with addicts. Sometimes addicts may misuse liquid methadone because they think it will make the drug work better, when in fact using the drug outside its prescribed recommendations can be dangerous. Used properly, methadone causes very few side effects, but its misuse can cause serious and sometimes life-threatening effects. People who commonly misuse this drug can develop serious heart arrhythmias, a condition wherein the heart beat is irregular. An untreated heart arrhythmia is serious; over time, it can trigger a stroke. In some cases, people also develop heart failure. Misuse can also cause a range of side effects similar to an allergic reaction, such as hives, itching and the appearance of rashes all over the body. There may also be changes in vision, libido and the ability to process information. How Do I Choose the Best Alternative to Methadone? What Are the Differences between Methadone and Morphine? Is It Safe to Combine Methadone and Oxycodone? What Are the Uses of Liquid Oxycodone? What Are the Different Uses for Liquid Hydrocodone?